Come to beautiful, restful and welcoming Amherst Island to build up your painting skills with this decorative surfaces workshop. 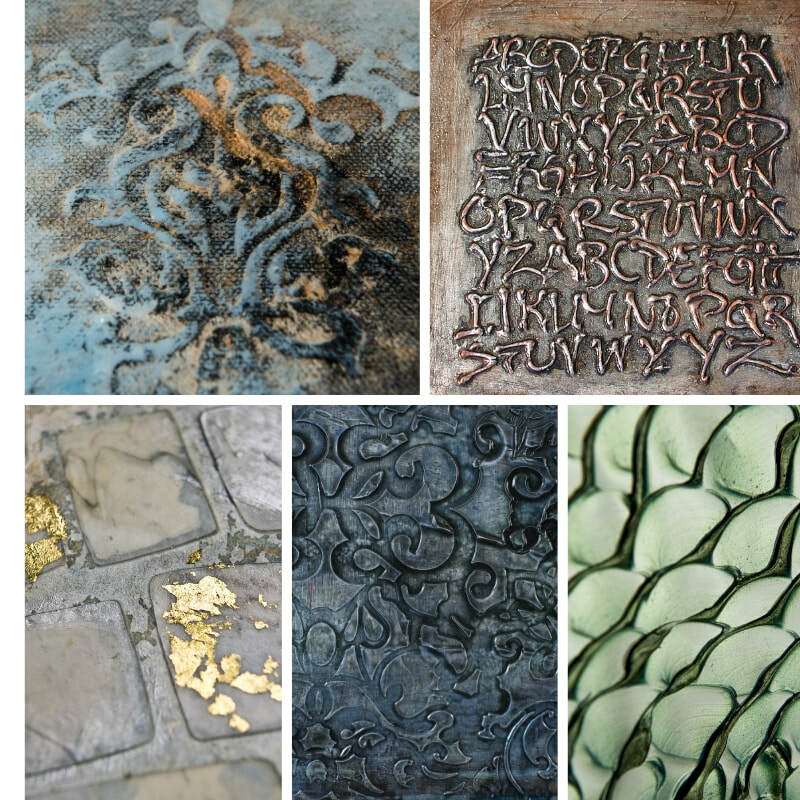 Whether you want to amplify surface textures and patinas on paintings, decorative objects, panels, walls or furniture, this workshop will fire up your imagination and drop some amazing techniques into your art bank. Tucked into the Lodge on Amherst Island's fabulous and airy studio, we will use a vast array of acrylic colours, mediums, mixed media and collage elements to produce a surfaces sampler, plus create a grouping of 3-4 decorative panel wall tiles to enhance your interior decor. Previous painting experience is recommended but not required. Techniques we will cover: Glazing, Extruded Linear elements, Pouring, Stencilling, Encaustic-like effects, Stucco and cement textures, Printing, and more! OVERNIGHT STUDENTS: Email Victoria at the Lodge to reserve your room. Please let us know of any dietary requirements and/or restrictions, and The Lodge staff will adjust the menu to suit your needs. * Although many tools will be available for use, I do suggest bringing (well marked) personal tools that you use in your own art practice. ** There is no option to opt out of the lunch and/or snacks. If you have particular dietary restrictions, we can work that out with the kitchen staff ahead of time. Collage elements: Decorative paper, beads, glitter, metal leaf, etc.